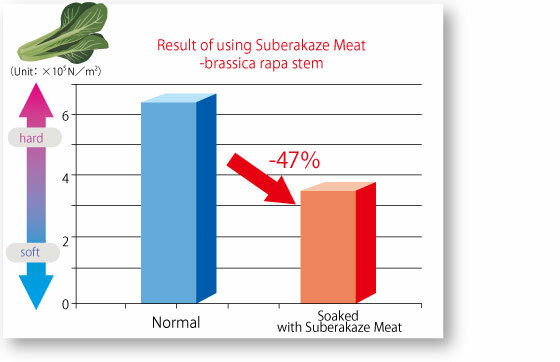 "Suberakaze Meat" help solve these concerns! 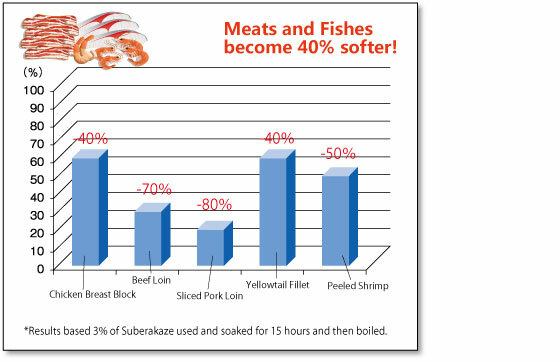 ●Softens meat by 40%* just by soaking. 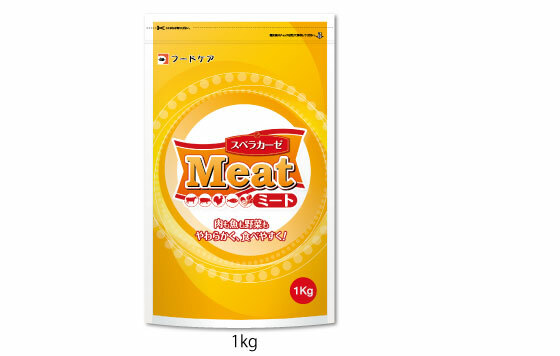 ●Can be used on beef, pork, chicken, and fish and helps reduce odor from the meat. 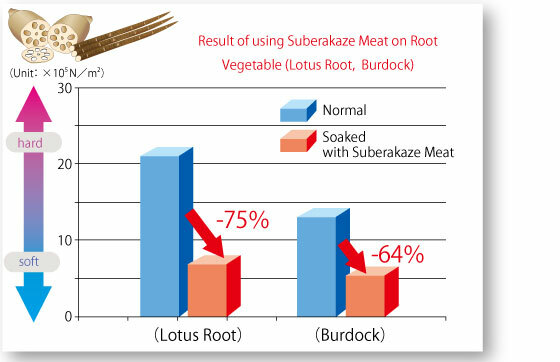 ●Vegetables (Root/Leafy) can be softened as well. intrusion at 70% using a 3mm diameter plunger at a speed of 10mm/sec. 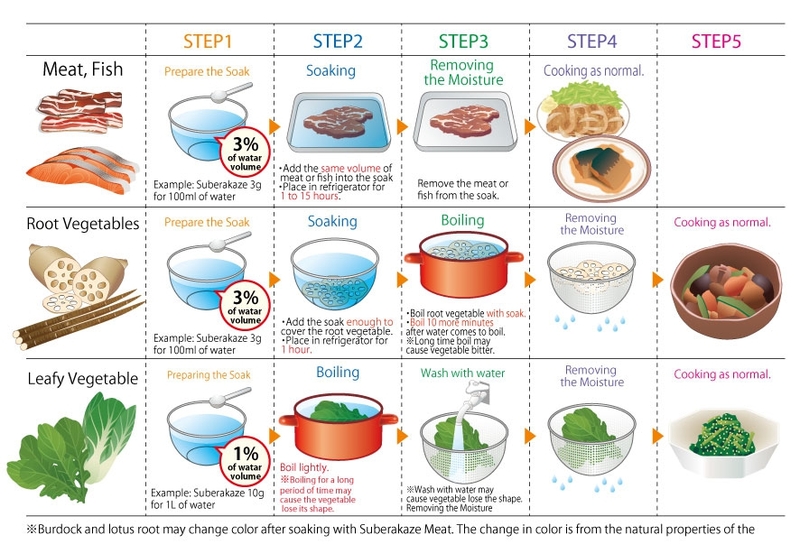 Point②　In order to soften equally, cooking by steam or boil is recommended. Point③　If needed, use a burner to make burnt marks onto the fish. 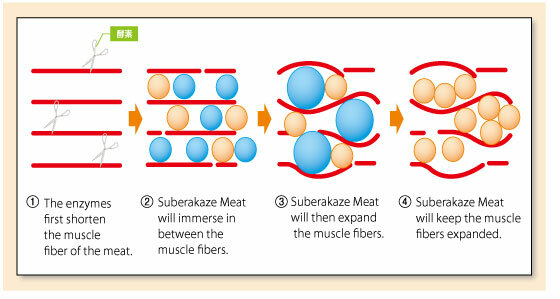 ①Large pieces of meat ⇒ cut into smaller pieces to ensure that it is thoroughly soaked. 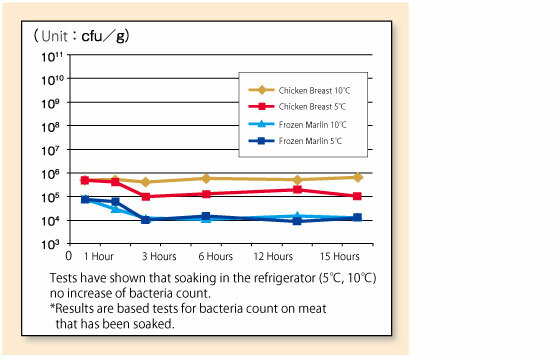 ②Frozen food ⇒keep in mind the time needed to defrost before soaking. 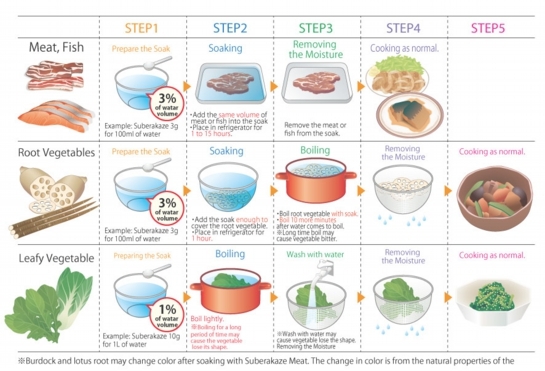 ③If time is limited ⇒ place the food into a zipper storage bag and massage the soak into the liquid. ●If choking occurs please contact emergency services for immediate medical attention! ①This product should not be swallowed directly in its powder form. ③When serving, please make sure that the food has been swallowed safely. ④This product is not intended to prevent aspiration. ⑤Do not reuse the soak repeatedly. 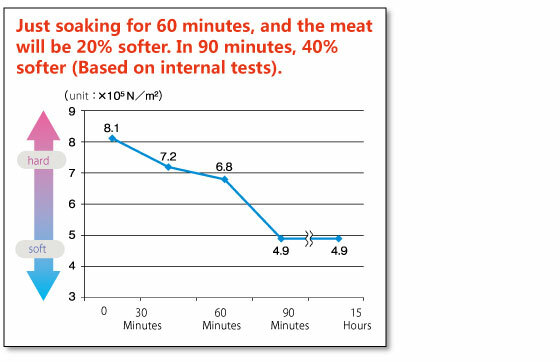 It is recommended to use the soak right after preparation and to not let it sit. ・Make sure that the product is stored properly in a place out of reach of children. ・Avoid storing in an area with direct sunlight or high humidity. Please use up promptly after opening.